Is there any phrase more evocative than “forgotten gin cocktail”? While in Charleston, we visited High Wire Distilling Company and sampled their excellent gin. We discussed our favorite gin cocktails, and the bartender/distiller mentioned a Fitzgerald, which was new to me. He said it involved gin, lemon juice, simple syrup, and bitters, and I was sold. Clearly we’d found March’s cocktail of the month. The Fitzgerald doesn’t have a Wikipedia entry (someone should get on that, stat), but I found reference to it in this article on Forgotten Gin Cocktails from The Kitchn. 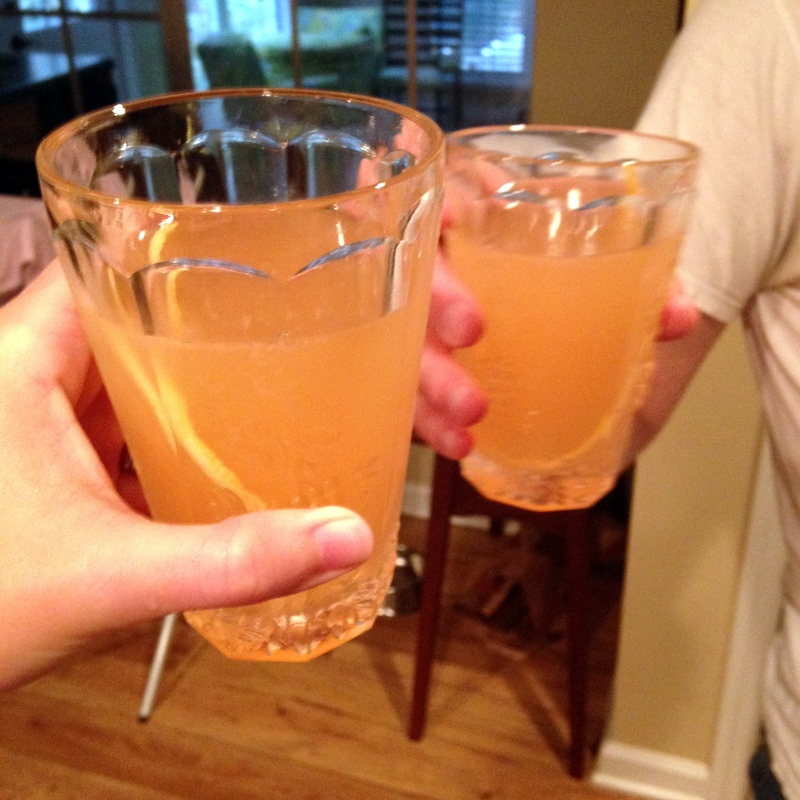 It’s a pre-Prohibition cocktail, a variation on a gin sour. The recipe varies based on source, but I liked the following ratio: 2 parts gin, 3/4 part lemon juice, 3/4 part simple syrup, and 2 dashes bitters. If you make your own sour mix, it would be 2 parts gin, 1.5 parts sour mix, and 2 dashes bitters. We garnished with a lemon peel. It tastes like the Great Gatsby. I can’t think of a better way to describe it. I want to drink it while lounging in a flapper dress. 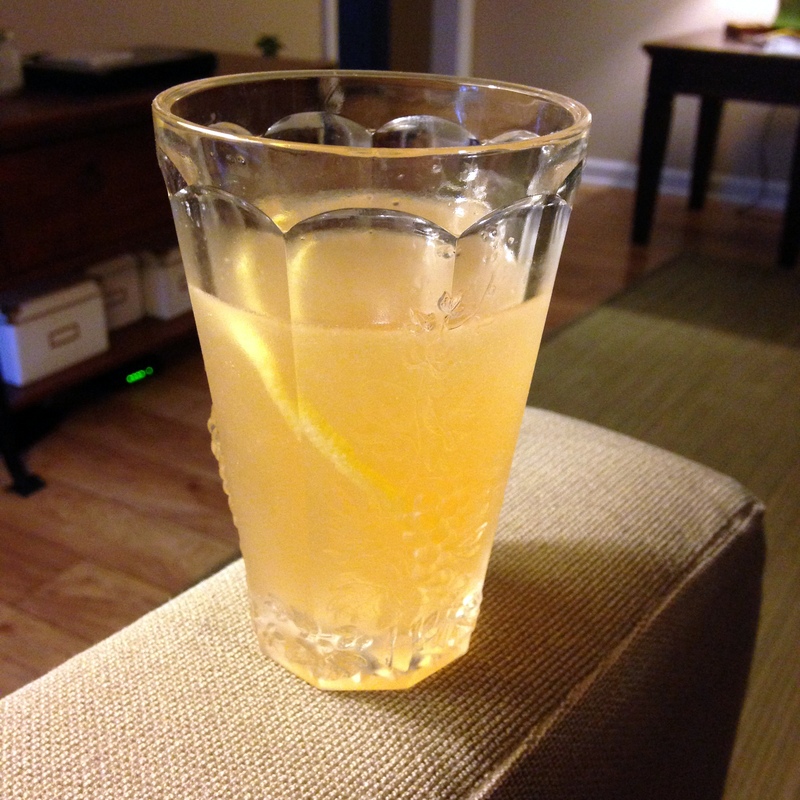 The bitters make it more sophisticated than a simple sour, but it’s not an inaccessible or fussy drink. It would make a perfect (and unique) pre-mixed drink for summer parties.